I have been associated with NODA since 1995 when I became a regional rep in District 8 in East Region. Became Eastern Councillor in 1995 and National President in 2005/6 at which time I was appointed as the Association’s first Chairman. I resigned from that post in 2011 but remained as a NODA Limited director to the present day. I have directed shows every year since 1974. In my working life I was an Executive Director of UBS in charge of Customer Service and Client Audit. I am married to Wilma and we have two married daughters, one of whom has given me two delightful grandchildren. My first appearance was in a village pageant, at Grammar School I took part in 3 G & S productions , I once played before Dr Beeching ( of Railway cuts infamy). 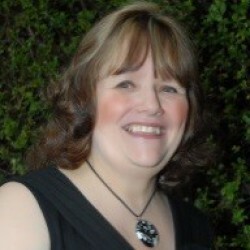 I took a break whilst I qualified as an Accountant and ultimately became an acting and dancing member of West Bromwich Operatic Society , here I became part of the Societies Management Committee taking various roles, Programme Editor, Social Secretary, Treasurer and Business Manager. I was invited by Neville Cook to be Midlands Area Treasurer and have had an active involvement in my local NODA Region culminating me becoming Regional Councillor in January 2010. I became President September 2016. Other interests include books and heritage railways. In the world of amateur theatre and associated arts and music, Ian has been involved both on stage and behind the scenes for over 50 years!!! 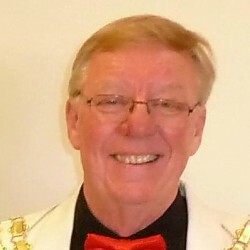 In an administrative and management capacity, Ian was chairman of Bromsgrove Operatic Society for 25 years. When in 2016 Ian became the Society President. Being elected Regional Councillor in 2016 after only 5 years as a NODA representative has been an honour and privilege, and Ian relishes the opportunity to apply his experience and knowledge to help and encourage others. Ian very much appreciates the strength and commitment contributed by the regional team as we seek collectively in supporting the aspirations of NODA members here in the West Midlands. Ian and his wife Karen look forward to your invitations for your forthcoming productions. I was proud to be elected as Councillor for NODA NW in 2011 having served for the previous 3 years as Regional Representative for District 2. I have literally been involved in theatre my entire life having originally ‘followed in my father’s footsteps’ and briefly joined the Oldham Repertory Theatre as a drama student, but left ‘the rep’ to join the WRNS. Since then I have played a wide range of roles from Lady Macbeth in the Scottish Play, to a Fairy Godmother in pantomime, and all points in between. Now – in the” autumn of my life” I am still inspired by Amateur Theatre and proud of the privileged to serve on Council as the NW Councillor, and a member of Mancom. 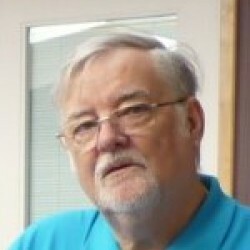 Fred's first major involvement with NODA began in about 1992 when, the then Northern Area Councillor, Ian Wells asked him to take over the position of treasurer from the Past Councillor Harry Low. Fred continued in that post until 1999 when Ian became National President and Fred was elected as Councillor. 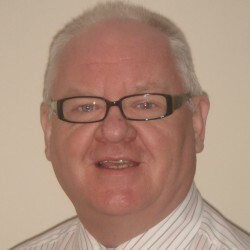 He served as North Regional Councillor and became a member of the NODA Management Committee until 2011 when he was elected as National President. At the completion of his year as President and subsequently IPP he was elected to remain on Council as an Life Member and subsequently elected as Chairman of Trustees in 2015 but reluctantly resigned in 2016. Fred is now on the Board of NODA Ltd as an Independent Director, thus continuing his involvement with NODA.